As well as providing a complete service to keep your business running smoothly, M&R Hydraulics also offers a hydraulics installation service for the design, installing and commissioning of hydraulics systems, including high-pressure pipework. Our skilled and experienced hydraulics engineers and project management team will ensure that your equipment is installed and tested to the highest operational standards. 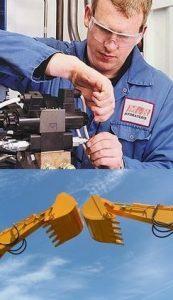 Your hydraulics installations can also be supported with our extensive hydraulics components and hydraulics repair services. To discuss your requirements please contact us now via our enquiry form or call 0151 357 1901.